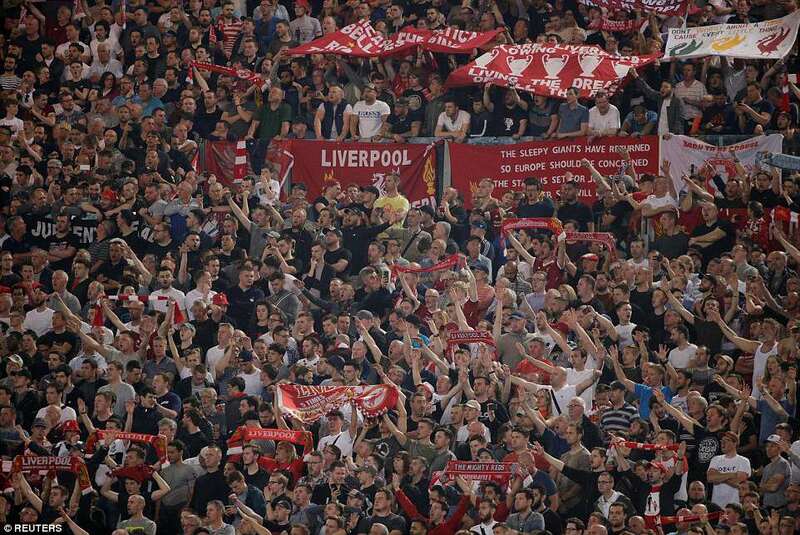 It’s Liverpool v. Madrid in Kiev!!! They rode their luck, just a little. They could have had the goalkeeper sent-off. They could have conceded two penalties. They could have been hanging on for dear life, come the end. Yet Liverpool will play Real Madrid in Kiev on May 26, because they got it right. They knew what they were best at, they knew what they had to do. They didn’t come to Rome in two minds about whether to dig in a steadfastly defend a three-goal lead. Attack is the best form of defence, with this team. And so Jurgen Klopp, while not being a gung-ho lunatic, sent his players out to hurt Roma as much as Roma sought to hurt them. 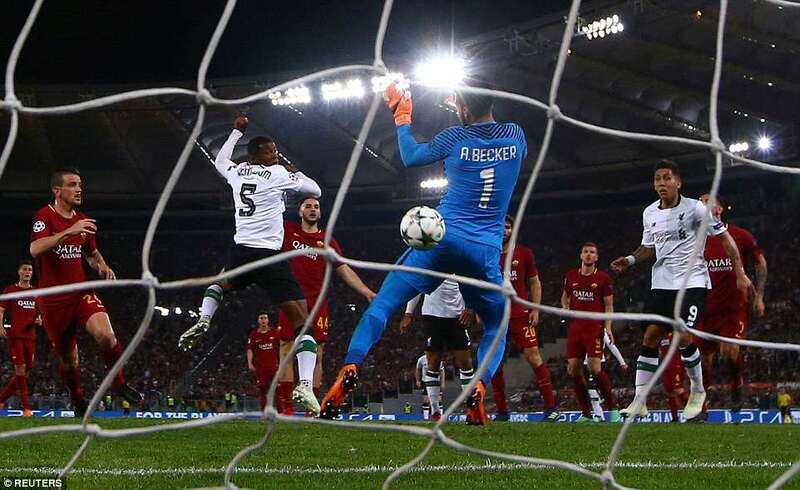 As a result, Liverpool were never behind on the night until the 86th minute when it was far too late, and never less than two goals up on aggregate throughout this second leg. One might say the tie was never in doubt, were it not for those breaks courtesy of Slovenian referee Damir Skomina. ROMA XI: Alisson; Florenzi, Manolas, Fazio, Kolarov; Pellegrini (Under 53), De Rossi (Gonalons 70), Nainggolan; Schick, Dzeko, El Shaarawy (Antonucci 75). Subs not used: Skorupski, Jesus, Peres, Gerson. Goals: Milner (OG) 15; Dzeko 53; Nainggolan 86, 90+3(pen). LIVERPOOL XI: Karius; Alexander-Arnold (Clyne 90), Van Dijk, Lovren, Robertson; Wijnaldum, Henderson, Milner; Salah, Firmino (Solanke 86), Mane (Klavan 83). Subs not used: Mignolet, Moreno, Ings, Woodburn. He missed a handball by Trent Alexander-Arnold, that could have been a penalty, and his assistant gave Edin Dzeko offside, when he was probably on, and quite definitely taken out by Loris Karius in the penalty area. The locals howled their displeasure but, over two legs, the best team went through. 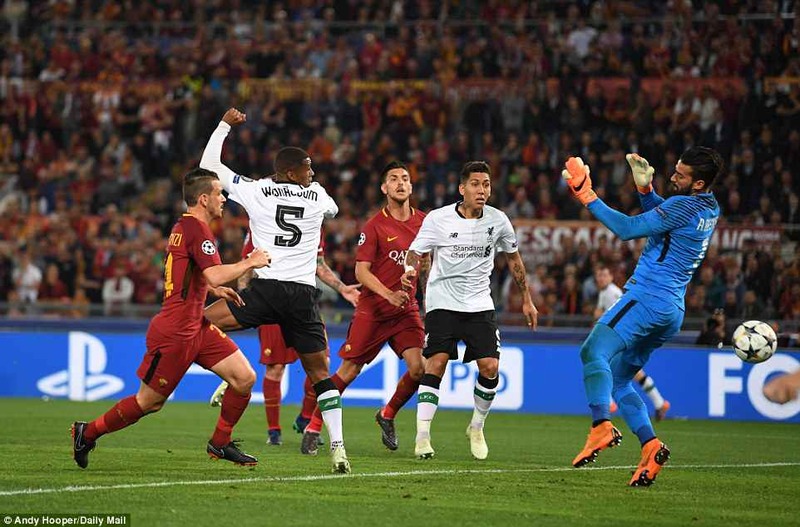 Roma knew the size of their task but could not muster one of those periods that have set Liverpool apart in Europe this season – an attacking frenzy that as good as puts a tie to bed. 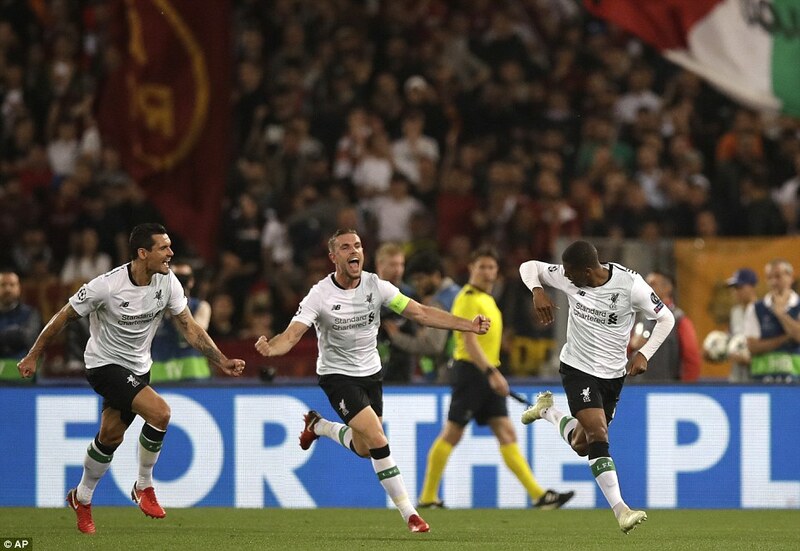 That is what happened at Anfield when Liverpool raced to a 5-0 lead and, for all their pressure, Roma could not replicate it here. 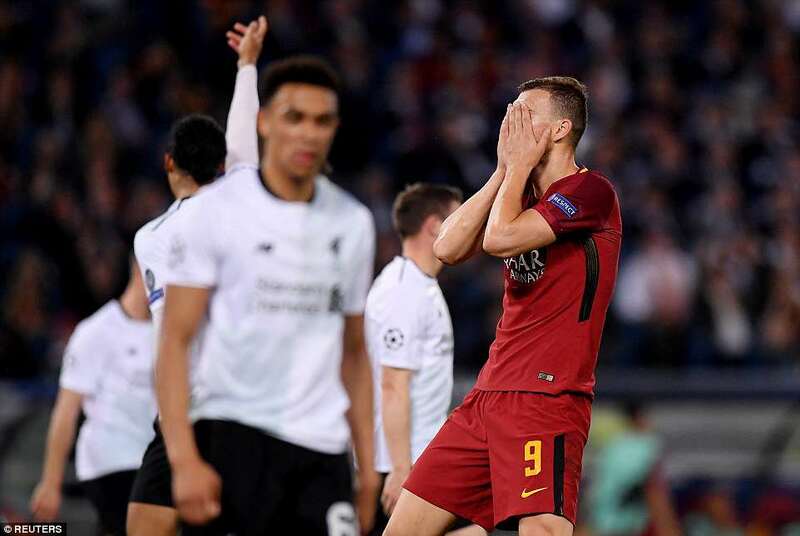 Stephan El Shaarawy was excellent and exposed the youth of Alexander-Arnold and Roma’s stubborn refusal to admit defeat is to be admired – still going forward to the end, and rewarded with victory through a late goal by Radja Nainggolan – but there was no shame here for Liverpool. 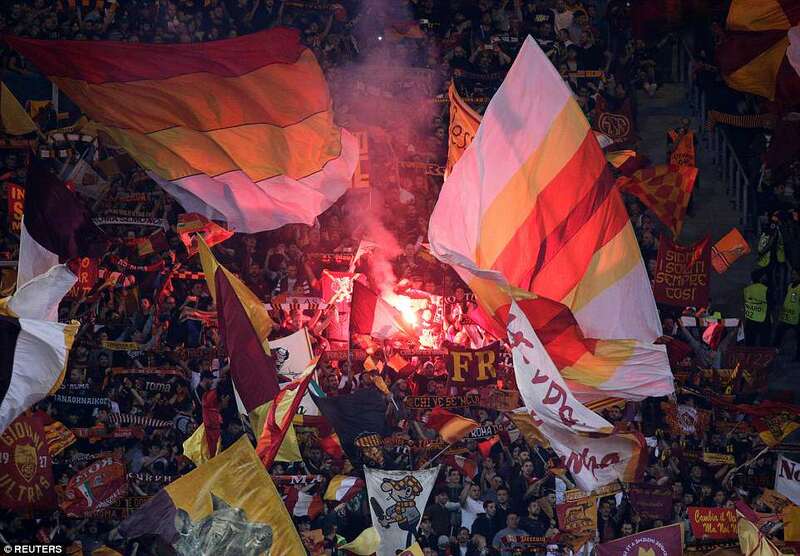 There was always a chance Roma would win given their desperation for goals and commitment to attack. 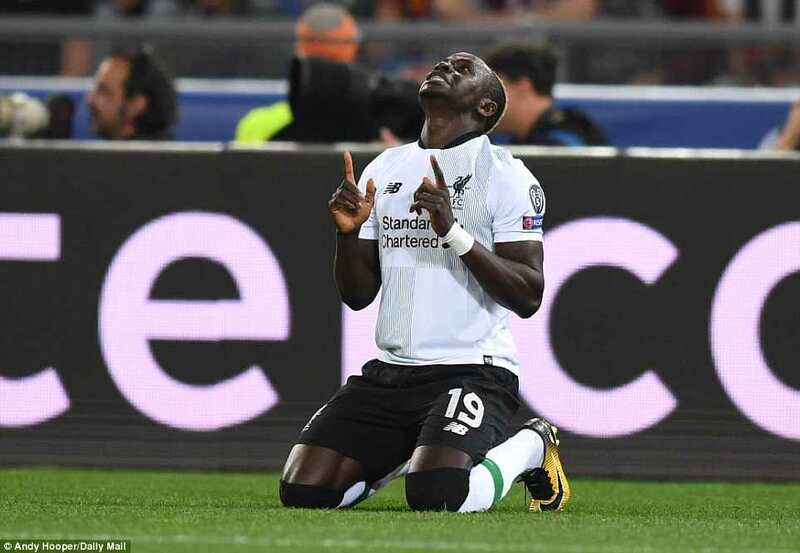 The fact remains, however, that with Sadio Mane’s opener, Liverpool’s front three have now scored more goals than any trio in Champions League history – out-stripping Cristiano Ronaldo, Gareth Bale and Karim Benzema in 2013-14 – and remain the force to be reckoned with this season. Their opponents, Real Madrid will be attempting a third straight European title – a feat considered improbable in the modern era – but Liverpool have the potential to hurt them. They have the potential to hurt anybody; it is just that there isn’t anybody else left to hurt. Nine minutes. That was how long the most resilient defence in the Champions League lasted against its most prolific scorers. 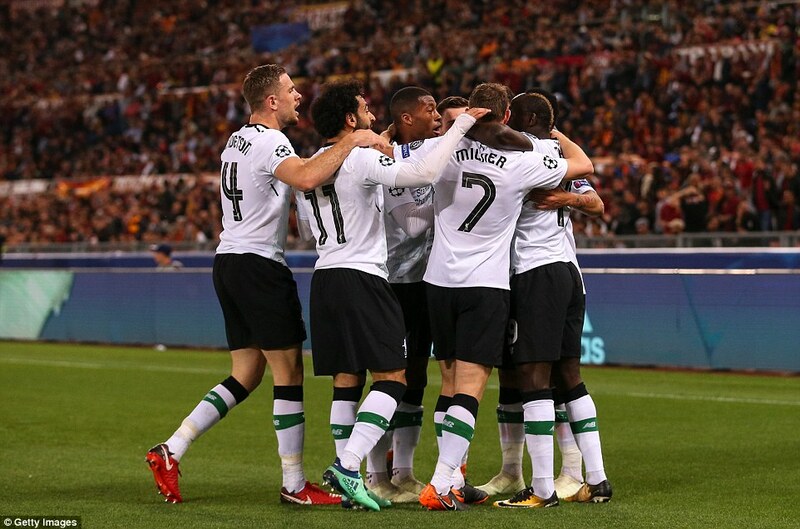 Roma had not conceded a single goal at the Stadio Olimpico this season, Liverpool had scored at least five goals against every opponent they have faced in the competition this season. Something had to give. In less than ten minutes, it did. 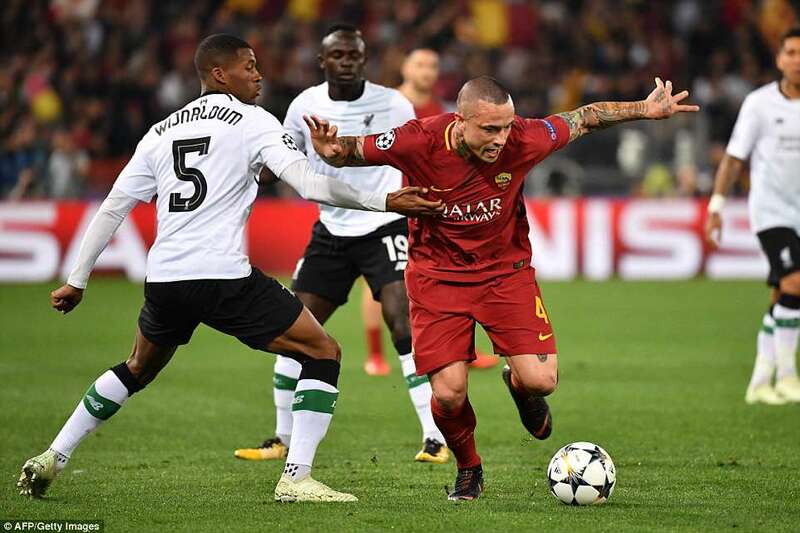 Radja Nainggolan, the Belgian international, gave an interview prior to this match in which he explained why he preferred Roma to his Premier League suitors, including Chelsea. He said he preferred a challenge. The extent of this thrill-seeking we now know. There are few challenges greater than needing three goals to win a tie, and making it four so soon into the match. Nainggolan’s pass that turned Roma’s attack into forlorn defence was suicidal. He gave the ball directly to Roberto Firmino, architect of so much that is good about Liverpool this season. The Brazilian didn’t disappoint, given this opportunity. 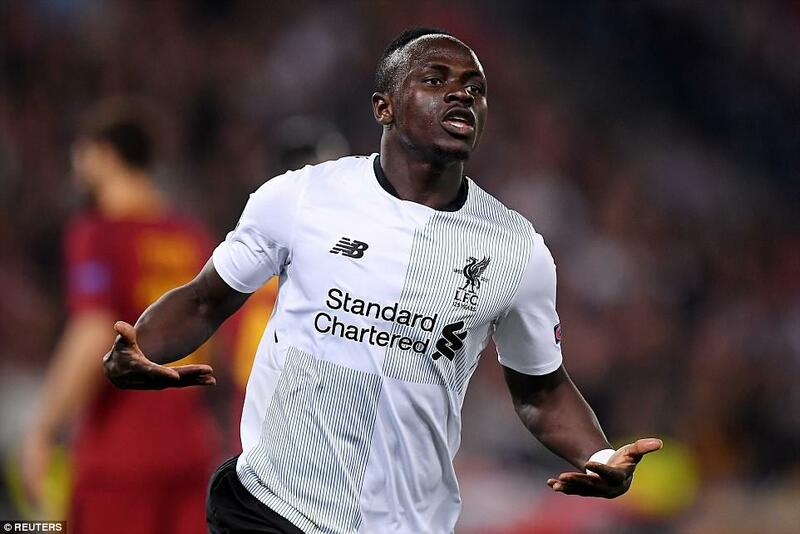 He tore into Roma’s hastily back-pedalling four and fed Sadio Mane, overlapping on the left. He drew goalkeeper Alisson and finished smartly. 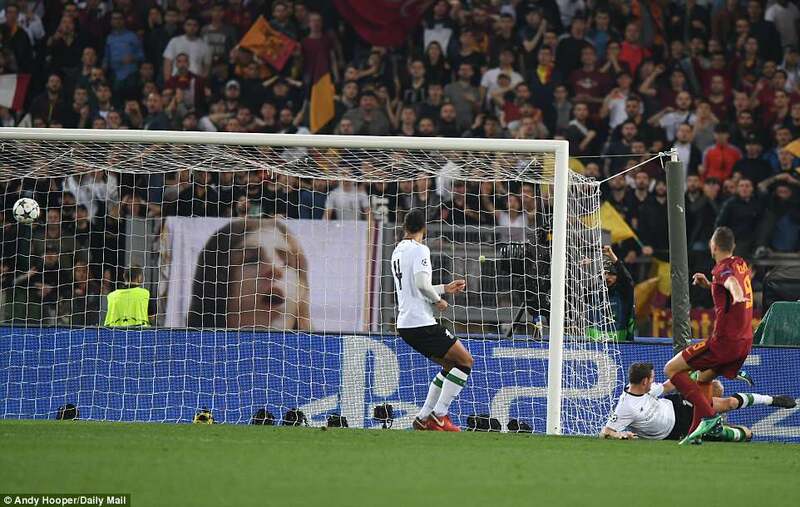 It was the perfect start for Liverpool, Roma now in need of four goals to progress. That they got one of them so quickly was more by luck than judgement. James Milner is having a great Champions League, but a rather unfortunate semi-final. 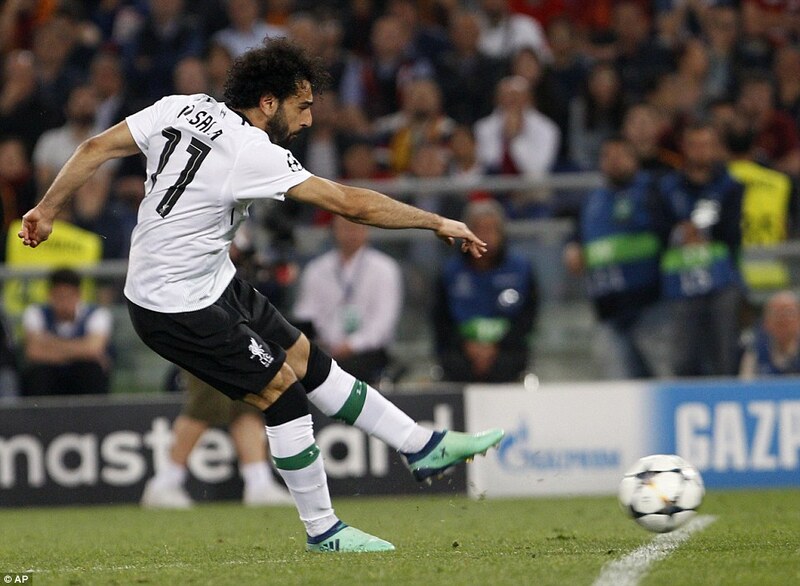 He was harshly considered to have handled the ball for the penalty that gave Roma a second goal at Anfield, and here he scored an own goal in which his role was pretty much that of a human rebound rubber on a penalty box pinball machine. 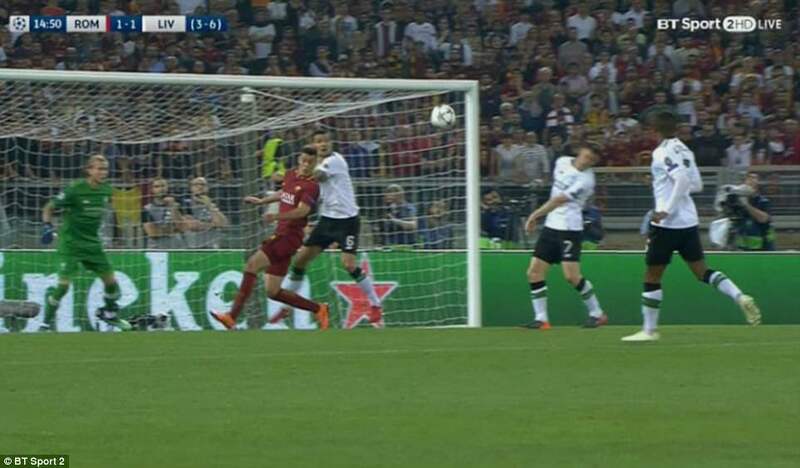 The impressive Stephan El Shaarawy won a header against Trent Alexander-Arnold on the right and Dejan Lovren went for distance with his clearance. 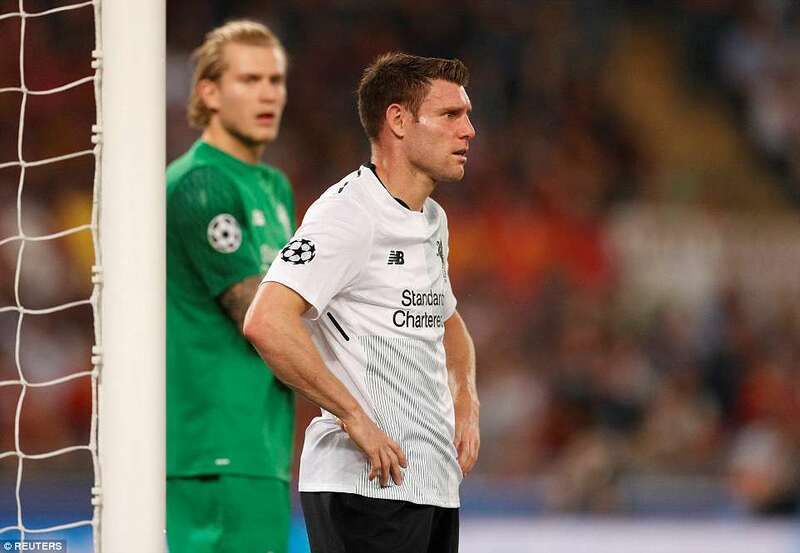 Unfortunately, the trajectory was interrupted by Milner’s head at close range, the ball cannoning off him and back past goalkeeper Loris Karius. He could do nothing about. Fortunately, he knows people who can. 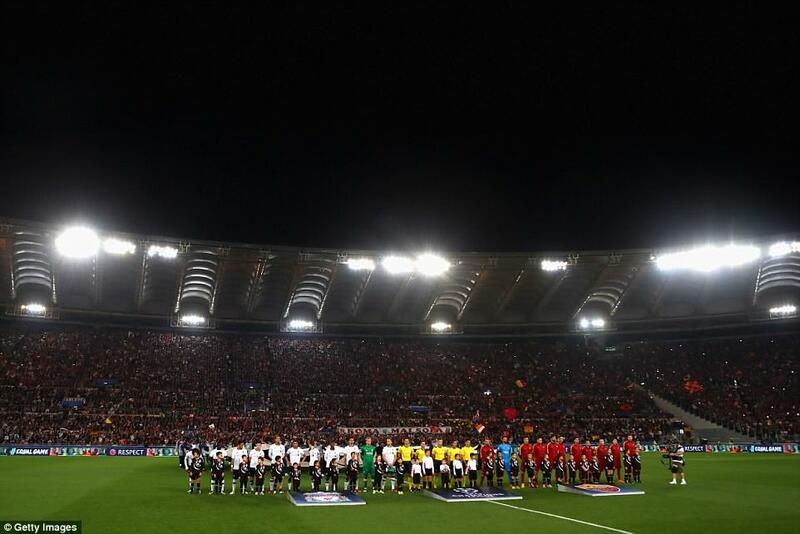 The noise inside the Stadio Olimpico – another arena defying the logic that a running track equals death to a football atmosphere – each time Roma got near goal gave the impression Liverpool were under siege. It wasn’t quite like that. 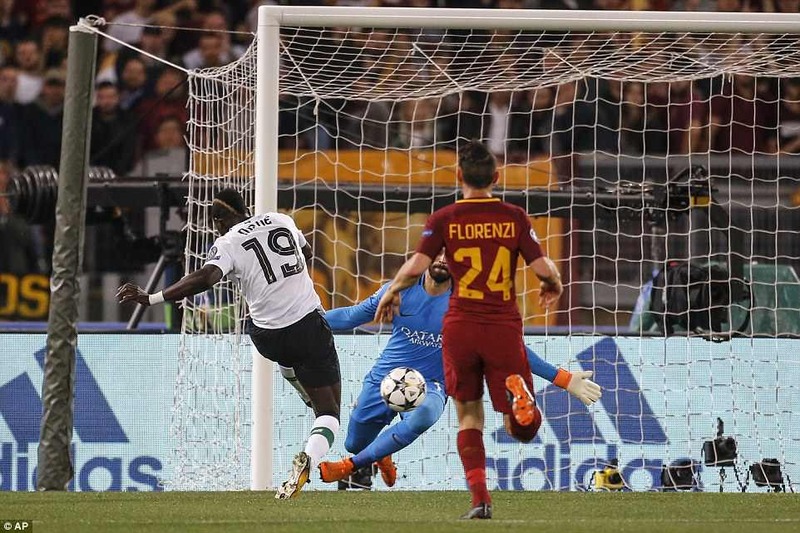 Alessandro Florenzi had two shots go narrowly wide – one after six minutes, the next on 43 – but Liverpool gave as good as they got, even if Mohamed Salah was not at his Messi-like best in the first-half. And they have players who frighten teams into making mistakes. Another error restored their lead after 26 minutes. 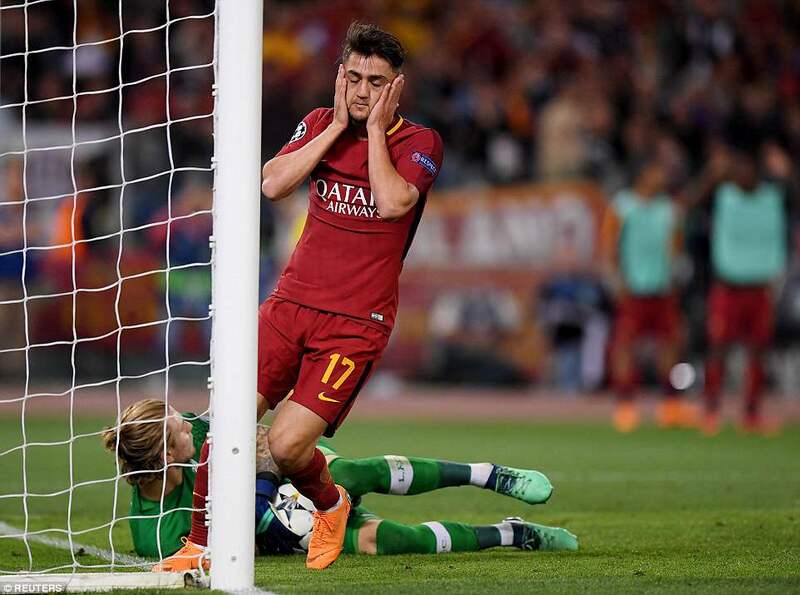 Given the way Liverpool’s two goals were scored, it is hard to believe that this Roma team has pulled the shutters down on the likes of Barcelona, Atletico Madrid and Chelsea this season. 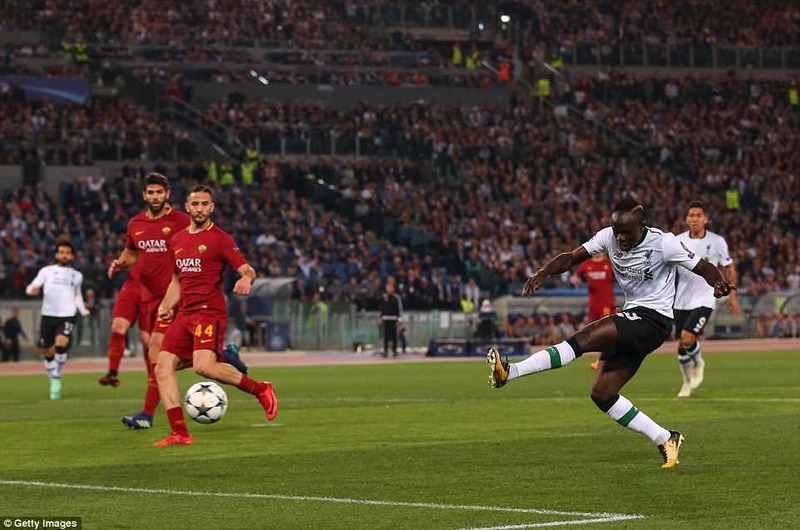 Initially, Alisson made an excellent save from Mane at the near post, following a cross by Andrew Robertson, but what followed was chaos. Roma didn’t get the corner away and in the melee Edin Dzeko, under pressure amid a crowd of players, ending up heading an attempted clearance back towards his own goal. 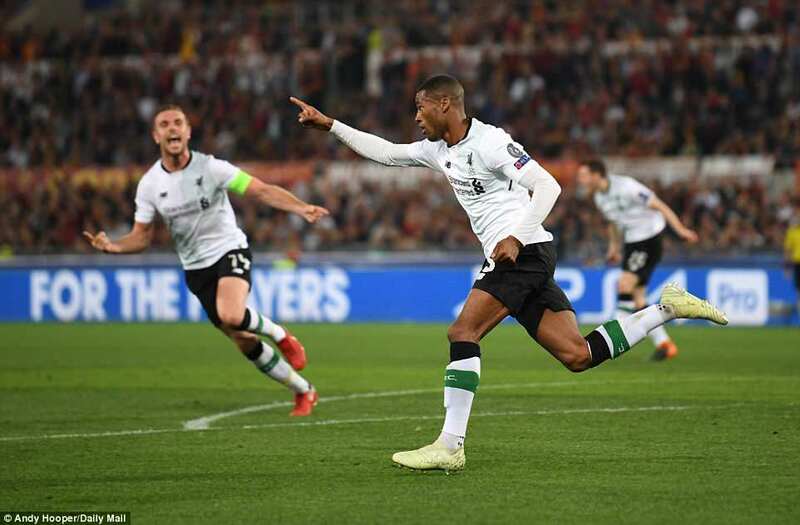 Georginio Wijnaldum, the happy recipient of a Champions League final place that would have belonged to the luckless Alex Oxlade-Chamberlain, was first to react and headed the loose ball past Alisson. 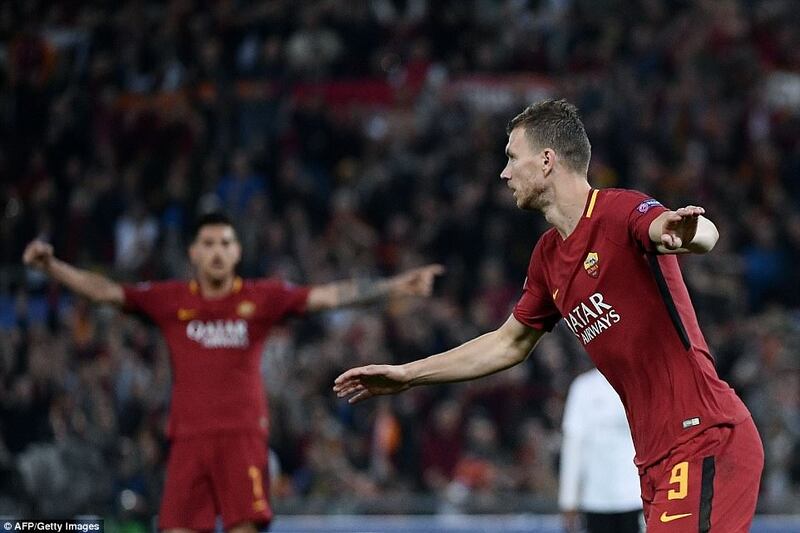 It should have been all over, Roma now needing four just to take the game to extra time, but the Italians are nothing if not dogged. They didn’t give up, needing three against Barcelona in the quarter-finals, and they didn’t give up now. And Liverpool got a piece of luck. 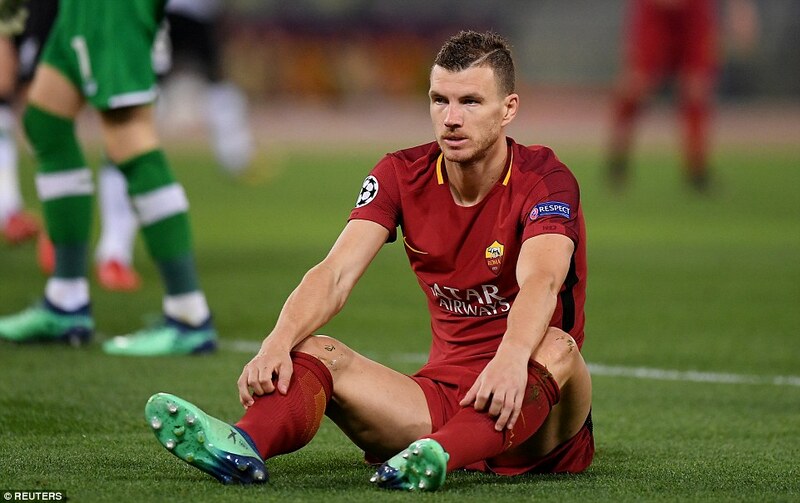 Little more than five minutes into the second-half Dzeko broke away and was upended crudely in the penalty area by Karius. It would have been a penalty, maybe even a red card for the goalkeeper, but a linesman’s flag was raised. Erroneously, replays showed. Dzeko looked a fraction on. Roma could have been a goal and a man to the good. Even had Liverpool prevailed, Karius could have been out of the final. It was a crucial turn in the match. 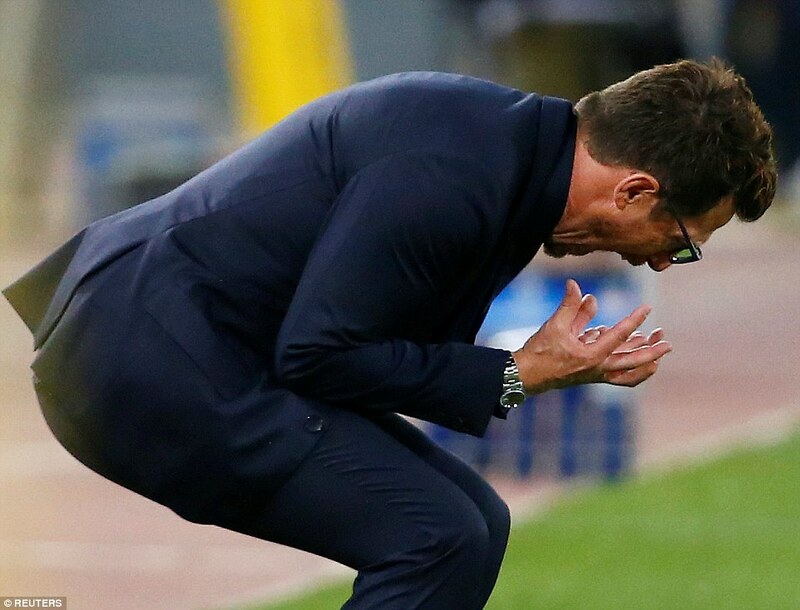 Although Roma did get some of what they deserved soon after. The excellent El Shaarawy was given Alexander-Arnold a difficult time down the flank, and when the young man dived in to make an interception, skipped past him and forced an excellent parry from Karius. 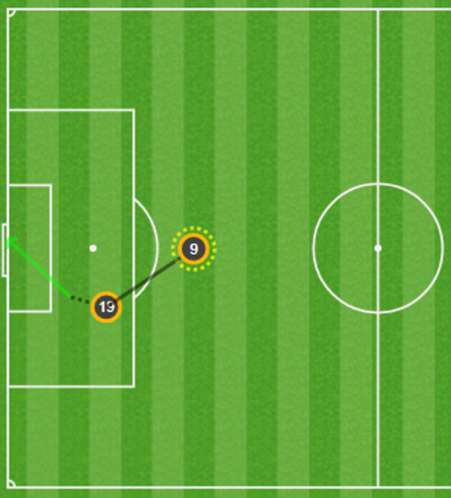 He couldn’t be lucky all night, though, and the ball went straight out to Dzeko, who returned it sharply into the net.